One of the world’s most endangered birds finds itself in even greater peril after a hurricane ripped through its habitat last year. But you can help – by drinking beer. In its latest version of conservation-inspired suds, Chicago’s DryHop Brewers and Lincoln Park Zoo are partnering on the release of a beer to raise money for conservation of the Puerto Rican parrot, whose habitat was devastated by Hurricane Maria. To create the beer, DryHop said it took its traditional milk stout and added orange peel and lactose sugar during the boiling process, resulting in what they describe as citrus notes and a creamy texture. Post-fermentation, the brewery added a combination of spices including toasted coconut, cinnamon, fresh ginger and vanilla bean. The beer will debut Saturday at a zoo fundraiser before its official release May 16 at DryHop, 3155 N. Broadway. For each pint sold, DryHop will donate $1 to the zoo’s efforts to save Puerto Rican parrots from extinction. The species, which is native to the island and found nowhere else, saw its population drop to 13 in 1975 before making a comeback thanks to conservation efforts. 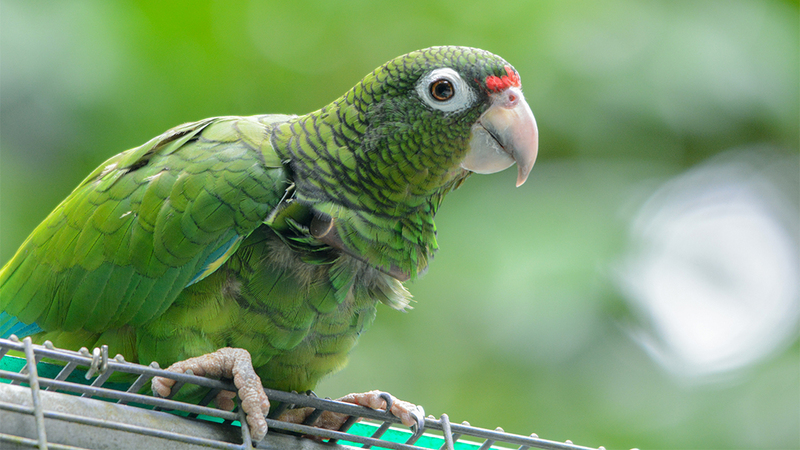 Today, with population analysis from Lincoln Park Zoo scientists, Puerto Rico’s Natural and Environmental Resources Department estimates there are about 600 of the parrots living at two aviaries and three wild-release sites on the island. In 2007, scientists from the zoo began helping with efforts to analyze the birds’ population as part of the Puerto Rican Parrot Recovery Program. Since, the zoo’s Population Management Center has taken a lead role in efforts to save the parrots, according to the zoo.